“We are just building the team, but we have some of the brightest and the smartest talents helping us in steering the programme,” says Indu Bhushan, CEO of the NHA. Varun Jhaveri is all of 25 and felt “lucky” to have contributed in designing Karnataka government’s Aarogya Karnataka scheme as a Project Lead of International Innovation Corps at the University of Chicago that sends top talents to work with government and development organisations. 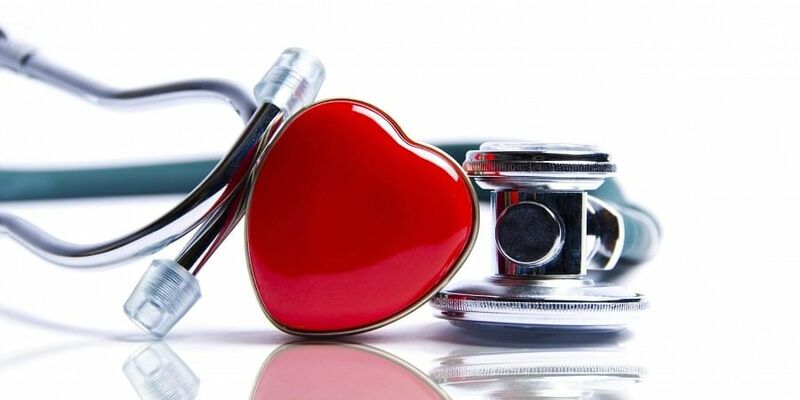 “But now, I think my luck is shining brighter as I am member of a team piloting a project that will directly touch over 50 crore lives in a significant way and usher in an era of revolution in India’s healthcare sector,” he says. 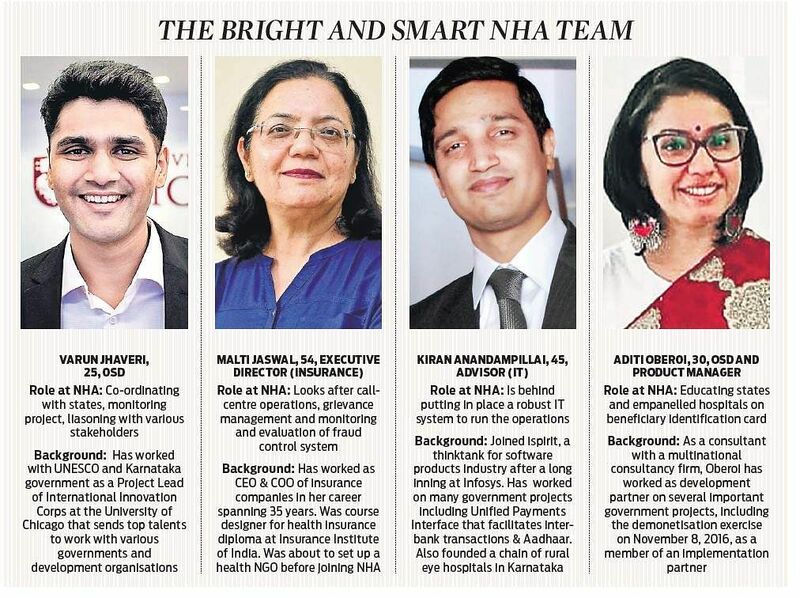 An officer on special duty in the National Health Agency (NHA), Jhaveri is among 12 young professionals — under a few seniors — working on the scheme that is being touted as the largest government-run healthcare programme anywhere in the world. It aims to provide cashless hospitalisation up to Rs 5 lakh to over 10 crore families. “We are just building the team, but we have some of the brightest and the smartest talents helping us in steering the programme,” says Indu Bhushan, CEO of the NHA — the agency that was set up especially for the ambitious Pradhan Mantri Jan Aarogya Yojana (PMJAY), launched on September 23. Bhushan himself holds a doctorate in Health Economics and is also a Master of Health Sciences from the Johns Hopkins University, USA. Thirty-year old Aditi Oberoi who works with NHA as a product manager of beneficiary identification card, and has previously worked on several government projects including demonetisation as a member of an implementation partner. For Heena Dhawan, 32, who has worked with a German government-owned development agency, every day is a roller-coaster ride at NHA and throws up new challenges, but she is hardly complaining. “Every day we are wearing multiple hats and doing several things — from co-ordinating with states to fine-tuning the policy, as this is an evolving scheme and every day brings new lessons. But I am happy I’m part of something so big for the country,” says Dhawan. NHA’s office, located in the middle of capital’s commercial hub, Connaught Place, is where all the action is these days. If, on one hand, there are enthusiastic youngsters brimming with energy, they are being led by illustrious seniors who carry vast experiences with them. Apart from Bhushan, a former IAS officer who had taken voluntary retirement in 1994 to join the World Bank and later the Asian Development Bank, the implementation of PMJAY is largely in the hands of Dinesh Arora, a 2002 batch Kerala cadre IAS officer. “I feel proud of the fact that I have been here since the inception of the programme that will be a game changer for the health industry in India,” says Arora, who had also closely worked in the NDA government’s rural electrification programme.The duo is advised on IT by Kiran Anandampillai, who had earlier worked on Aadhaar and runs a rural eye care hospital chain in Karnataka. “After my long years in the corporate sector, I have been working on bringing social impact and what better way can there be to touch the lives of millions of people than such a humongous platform facilitated by the government?” said Anandampillai.